Borsheims has an exciting opportunity for an individual interested in a full-time Watchmaker position. 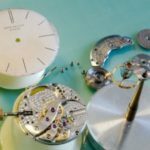 We are seeking an individual with keen hand eye coordination, attention to detail, 1 to 7 years of watchmaking/repair experience, and a Certified Watchmaker is preferred but not required. Borsheims is willing to provide appropriate training for this position. World renowned for our brilliant jewels and exquisite gifts, Borsheims is looking for an energetic and enthusiastic person who is eager to fulfill our company mission of providing exemplary customer service. 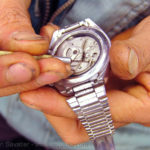 The Watchmaker is responsible for performing repairs and battery changes on quartz, mechanical, and automatic watches. Also responsible for answering questions concerning job charges, job completion, pick-up dates, job complexity, etc. Assisting in training Watch Repair Technician on watch repair and battery changes. Delegates responsibility and coaches to enhance watch knowledge. Receives merchandise for repair, adjustment, cleaning, etc. Communicates best option and repair price. 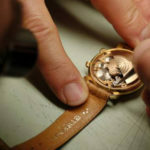 Examines watches for restrictions in design limitations; proceeds with repairs using techniques necessary to complete work. 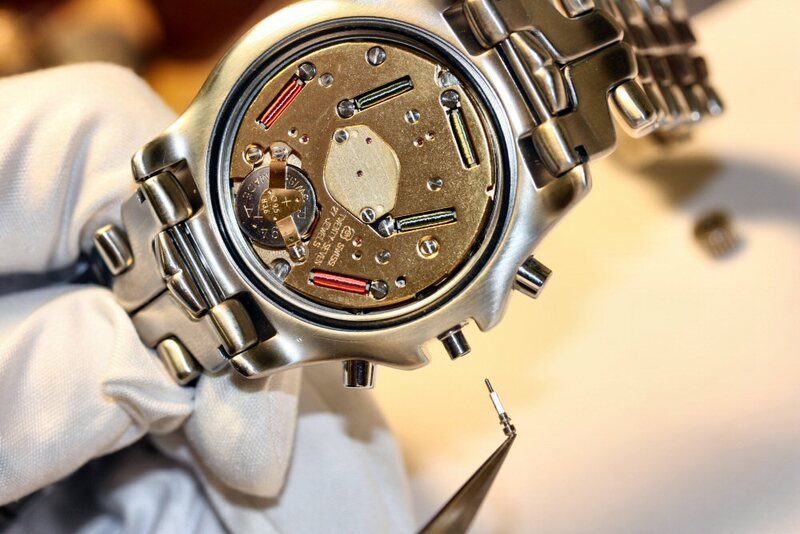 Performs miscellaneous basic, intermediate, and advanced-level repairs on quartz, mechanical, and automatic watches. Removes and replaces movements, batteries, etc. ; reconditions watches, and refinishes/polishes and repairs bracelets. Maintains appropriate workflow and on-time repair dates as promised to customers. Communicates with Customer Service Rep to ensure jobs are done by promised delivery date. Communicates with manager regarding issues, concerns, and progress. Answers questions concerning job charges, job completion, pick-up dates, job complexity, etc. Sizes all types of karat and non-karat and platinum watch bands. 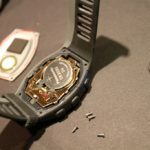 Discusses repair and warranty options with Factory Repair Watch Associate. Assists in ordering parts and tools needed in order to complete customer’s requests. Coordinates orders if possible with Watch Repair Technician to maximize efficiency and save shipping costs. Follows set budget guidelines for supplies. 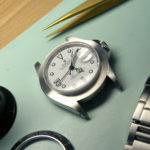 Assists in training Watch Repair Technician on watch repair and battery changes. Delegates responsibility and coaches to enhance watch knowledge. Evaluates and monitors all repair equipment, machines, tools, replacement parts and stock. Follows proper procedures for maintaining, storing, and eliminating all chemical solutions associated with required work. Follows chemical and equipment safety procedures: SDS, etc. Performs other related duties as requested. Ability to work assigned schedule on a regular basis. Ability to communicate with customers, co-workers, and business contacts in a courteous and professional manner. 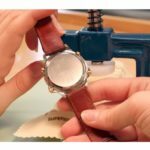 Ability to see well enough to read small print, identify merchandise, and read a computer screen and printout; with aid of minor magnification check quality of work on small parts or entire pieces of watch items. Ability to hear and speak well enough to converse with others in person, via telephone and paging system. Ability to move about the store from department to department, get behind narrow counter areas, and bend down or reach up into drawers/shelves. Dexterity to write in small print, hold on to and use watchmaker tools, handle small watch parts while repairing, bend over and pick up dropped materials, operate a computer keyboard, and operate office equipment. Stamina to sit for over eight hours and focus on small detailed work. Ability to work in a shop environment i.e. elevated noise, steamer, minor dust, etc. Ability to lift and carry approximately 20 lbs.